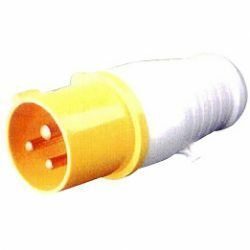 CAMSCO ELECTRIC, a leading Taiwan manufacture and supply specialist of electrical components, our industrial plugs through meticulous produced is quite durable. Welcome your inquiries or any other questions about our industrial plugs and sockets. CAMSCO series industrial plugs and socket-outlets are in comppliance with the following international standards: IEC60309-1 & IEC60309-2, CEIEN60309-1&CEIEN60309-2 They are also in compliance with the standards: VDE0623, BS4343. Industrial Plug And Socket Advantage. The base materials are NYLON6, which provides good features for the products, such as good insulating, resistant against most chemicals and salt-water, extremely cold-proof and almost unbreakable. For the advanced design they are suitale to be used in special environment, where IP44 or IP67 protection degree is required.